In particular, we've updated the navigation to make it easier to configure your project and find individual settings. 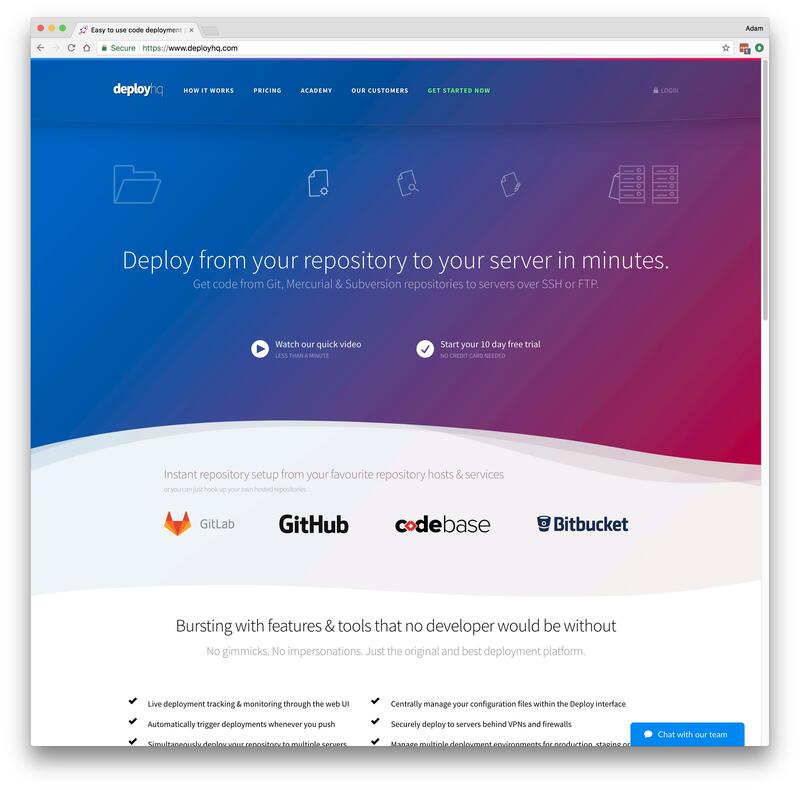 In addition to the app, we've redesigned the DeployHQ website. This feature is now in open Beta and you can enable it on your account within any project - just use the Build Commands link on the left hand side of the screen, then the Join Beta button at the top. 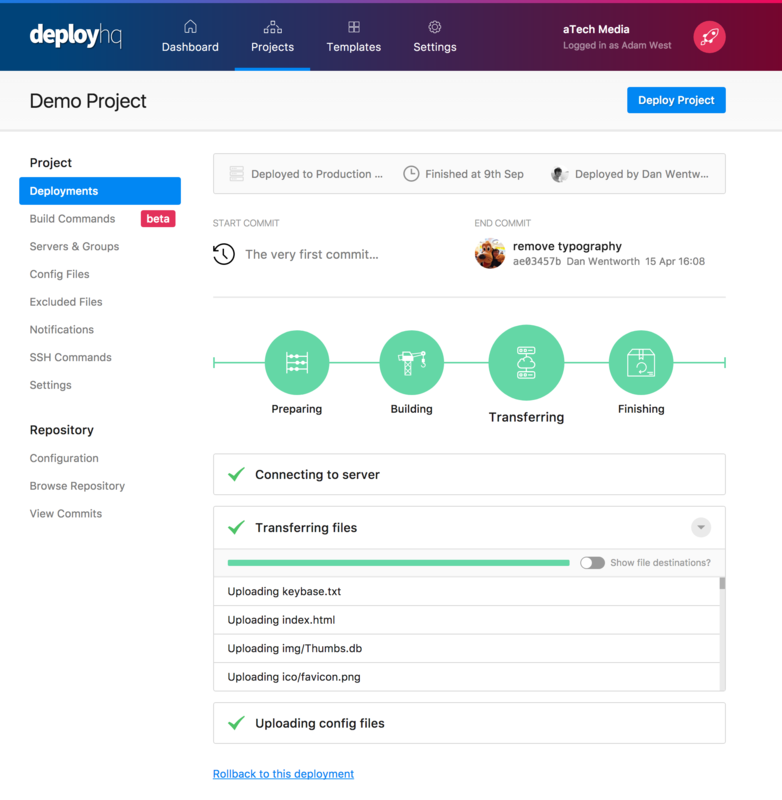 One of the biggest design changes includes a complete rewrite of the deployment screen. 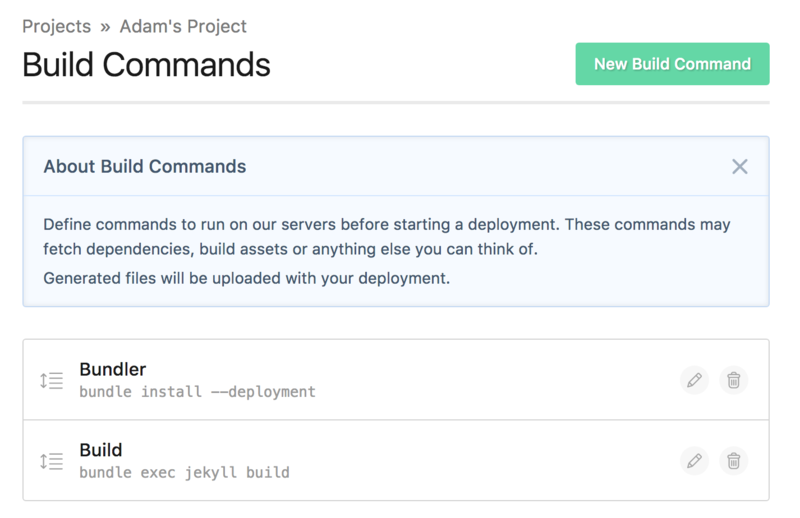 We've now split the deployment into multiple steps, which allows you to easily check individual parts of the deployment either in progress, or after the deployment has finished. 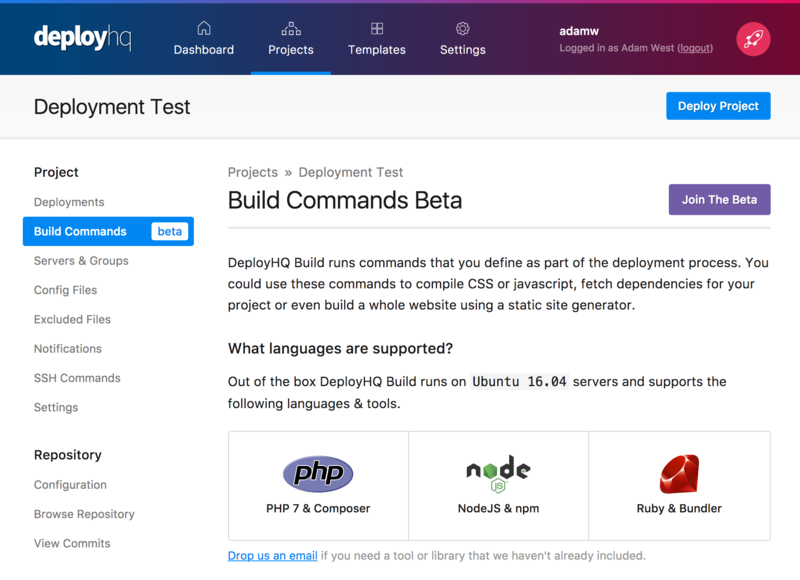 We now have a global project selector to make it even easier to jump between projects and start new deployments. Just visit your Projects page or click the rocket to the top right of the screen, then type a search at the top. 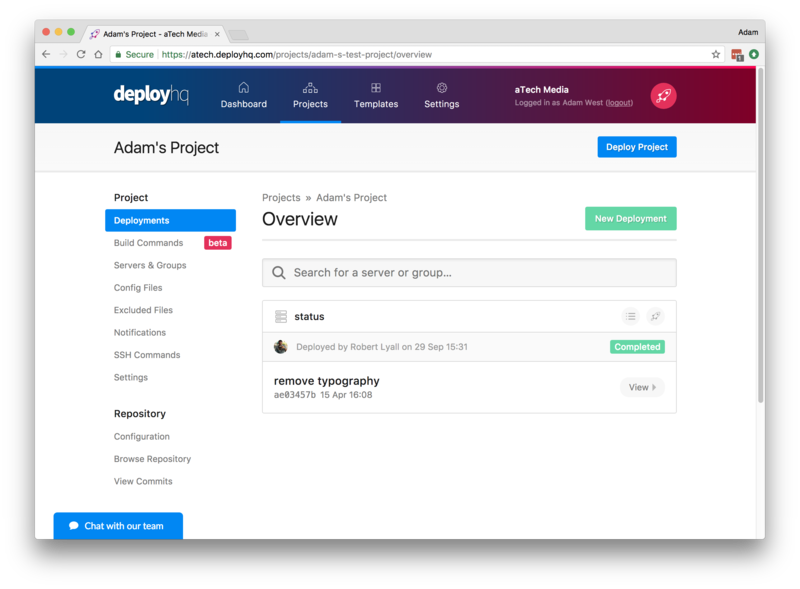 You can then immediately run a deployment via the Deploy to the right hand side of any projects that have been found from your search. 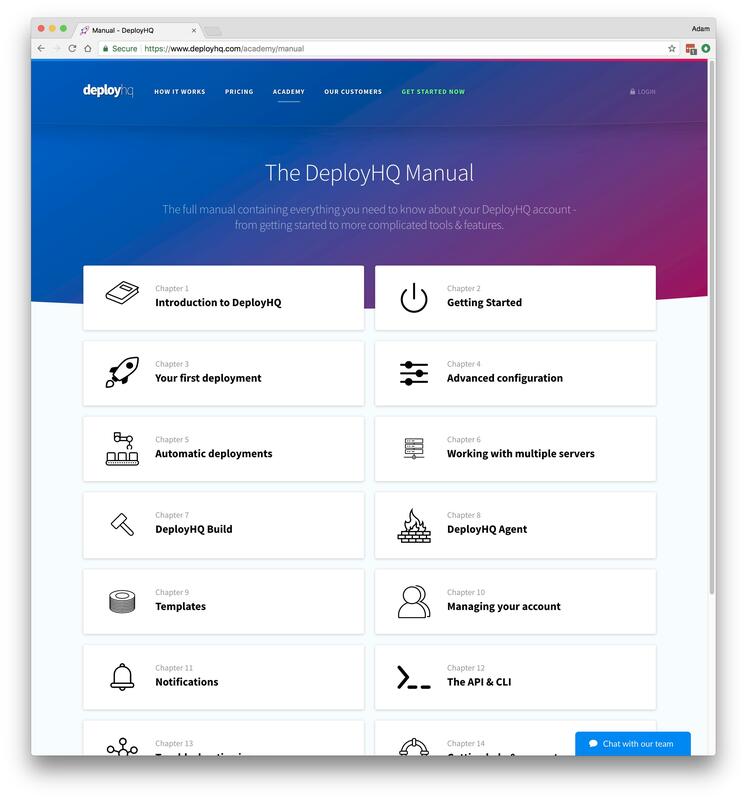 We've added a brand new support area to the DeployHQ website - the DeployHQ Academy - which contains a number of useful sections including our new manual. This has a full suite of documentation with set up guides, troubleshooting and information about all the features in the platform. We hope you enjoy the new UI! Let us know if you have any questions or feedback.